Because He lives, so too shall we! There are no more precious words than these when asked for the reason for my faith. May God bless you on this beautiful Easter day! illuminate the path of true love? 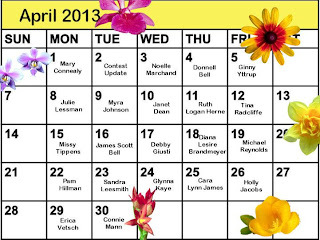 $ .99 for 3 days only–March 15, 16 & 17! — “This is Lessman’s finest work and will hold your heart captive and wanting more.” – Angi G.
This is a favorite verse of mine. I not only have the page marked with a Post It flag, but I have it underlined and highlighted. Why do you suppose that is? Why do some Bible verses and passages speak to us more personally than the others? In the case of this verse, I know I derive great comfort knowing God is in charge of my life—He has been even before I drew my first breath of air. There is no greater comfort to me than knowing the awesome God of the universe who made heaven and earth and all things visible and invisible, knows me and cares for me as if I was the only creature in the world. Wow. That just blows my mind and humbles me to my knees. The entire chapter of Psalm 139 sees David pouring his heart out to God, acknowledging how God made him, knew him, formed him and how not a moment of David’s life escapes Him: How precious are Your thoughts about me, O God! (verse 17). David seeks and adores God’s hand on his life. He is comforted in knowing: You chart the path ahead of me and tell me where to stop and rest. Every moment you know where I am. (verse 3). David, the greatest king this world has ever seen, drew strength and conviction from the knowledge that God walked beside him, along each path and turn his life took, and offered him guidance. A writer. He put the desire to write romantic novels in my heart. He nods at my ah-ha moments and smiles at all the tender feelings that well in my heart and make me want to spill them across the pages of a book. He made me to write about His glorious gift of love. Yep, that’s what God made me. A dreamer. 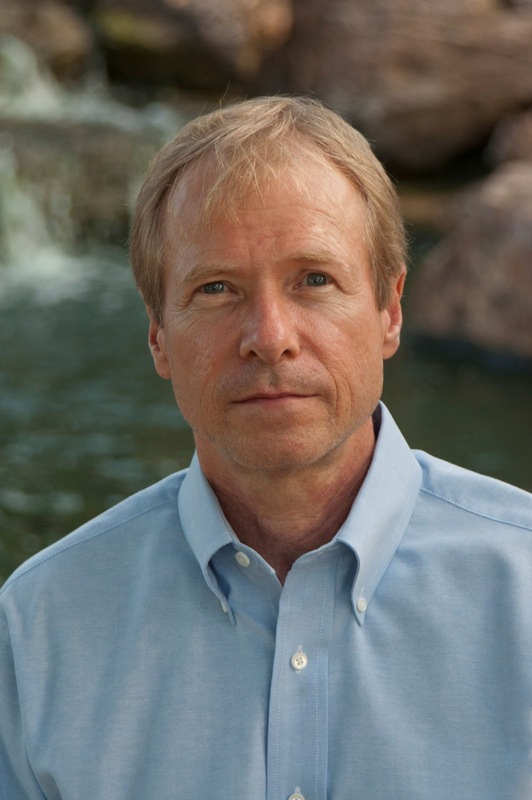 A Christian fiction author. A romance writer. He knew me before I was born and created me to become…me. Thank you for making me so wonderfully complex! Your workmanship is marvelous—and how well I know it. (verse 14). 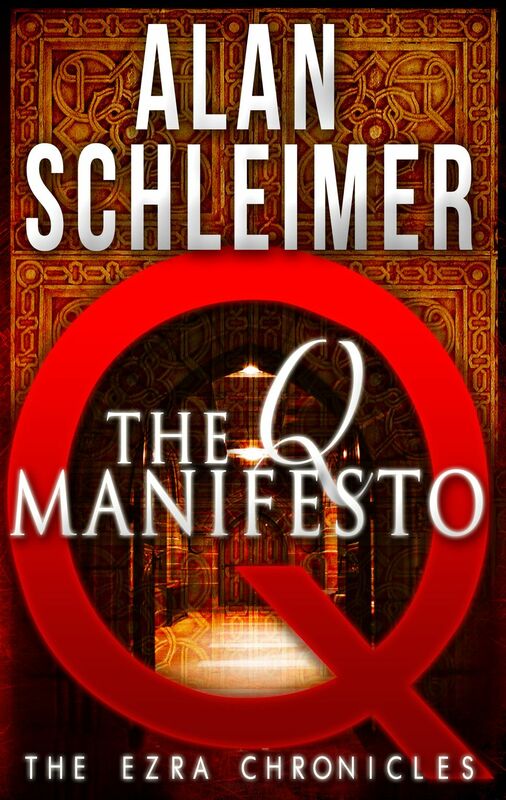 Posted in Alan Schleimer, debut novel, suspense, The Q Manifesto	| Comments Off on Alan Schleimer in Seekerville today! 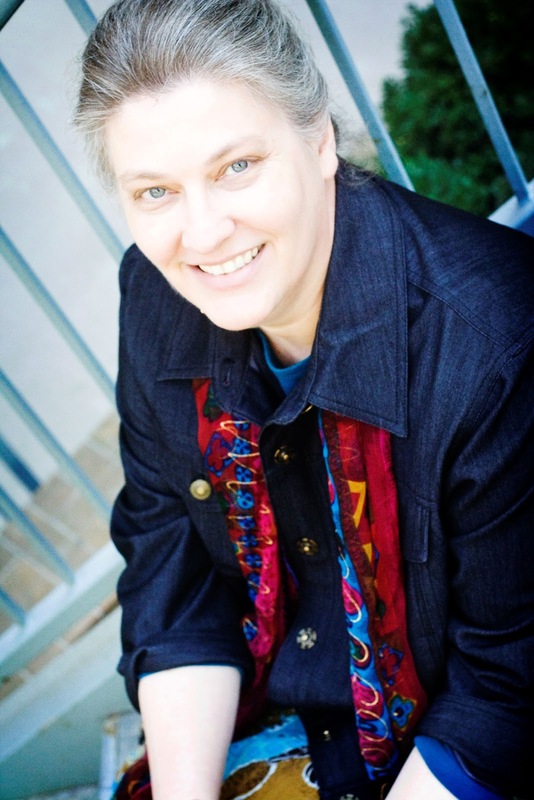 Jane Choate is my guest in Seekerville today. Her topic is Writing Cut and Paste Style. I can relate to that. My writing is all over the place needing to be hauled together and affixed with duck tape, LOL! Jane is the author of 32 books and over 400 short stories and articles, including 11 for Chicken Soup, and she hosts two blogs. The Gratitude Project offers daily inspiration and The Patriot Pages recounts the adventures of our founding fathers, highlighting the great foundation of our nation. 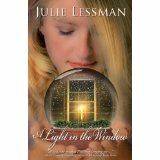 I’m so excited to have Pam Hillman as my guest today! 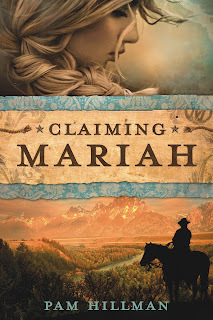 Pam is a fellow Seeker whose talent for writing historical cowboy romance is amazing! We met as unpublished writers entering the same contests (along with all the other Seekers–please visit Seekerville to find out more) and taking turns at earning the top spots. Tyndale House Publishers recognized her incredible talent and scooped her up to be among the first authors of their Digital First program. The launching of Digital First was very successful and Im proud to say Pam’s debut novel, Stealing Jake, was one of the first 5 titles published, earning amazing reviews and awards. Now it’s Claiming Mariah’s turn. . . Molten Chocolate Lava Cake: An Author’s Best Friend! I’m SO all over that! So why is it that I have a schedule a mile long and enough lists to paper the dining room wall? Why is it that my tax returns are due, and every time I dump 50 emails out of my inbox, 100 more pour in to replace the ones I just filed? What happened to my carefully laid plans to be organized and ahead of the game months ago, but I’m still scrambling to play catch up? What happened is me…combine my habit of over commitment and overachiever with a bad case of procrastination and you have a blood pressure cooker waiting to happen. I figure since I’m blogging with Audra, I can just relax a bit and see where this goes. After all, she’s the one who gave me leave to take life slow and easy! Baking is good for the heart, and baking anything chocolateis good for the soul! Don’t believe me? Just hop over to Pinterest, search for chocolate and let your eyes feast on the amazing array of chocolate cakes, pies, brownies, and lava cake. 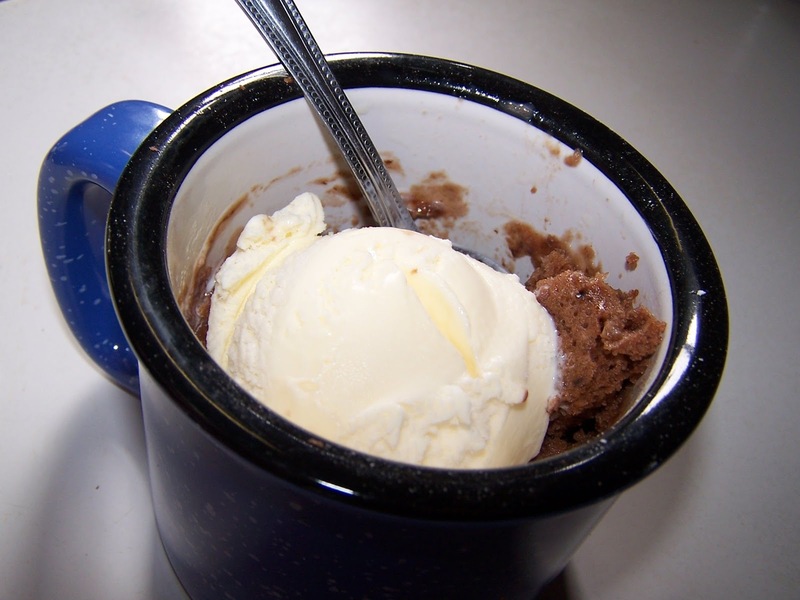 Come to think of it, just skip searching for chocolate and go straight to the chocolate lava cakeinstead. I had chocolate lava cake a few weeks ago and obviously I have not forgotten it. I do believe that Audra’s sage advice to bake cookies and slow down, and my little jaunt over to Pinterest solved all my problems, or at the very least made me completely forget them. I’m headed to the kitchen to bake! PS. Seriously, I just cooked two Molten Lava Cakes in the microwave. Goofed the first one up, but the second one looked perfect. I wouldn’t know. I had to eat the goofed up one, but my son vouched for the pretty one. Sorry I didn’t get pictures. We were too busy eating lava cake! A multi-published author in short fiction and non-fiction, Pam Hillman continues to stretch her wings as a writer of inspirational fiction set in the 18th and 19th centuries. The Code of the West has always resonated with the internal fabric on which Pam was raised: that of hard work, honesty, and being a good neighbor to someone in need. And….that’s not all! 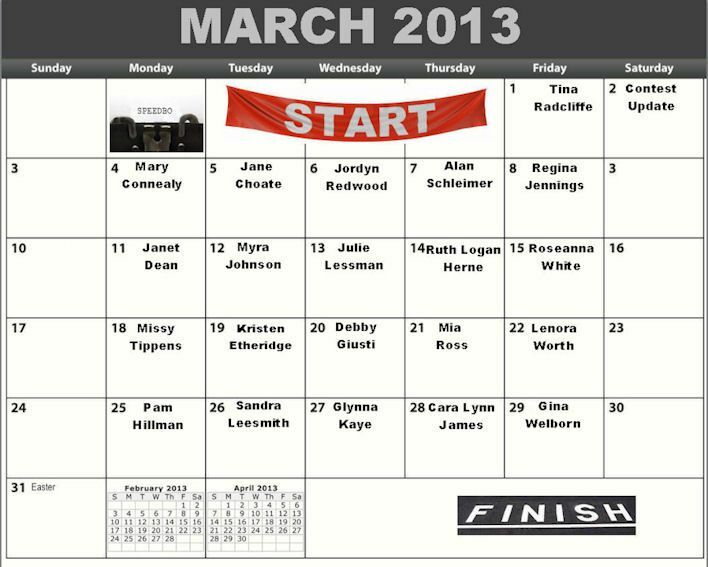 There will be prizes offered randomly throughout the tour. Can you believe it’s Speedbo time again? 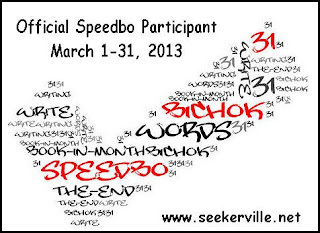 What is Speedbo, you ask? 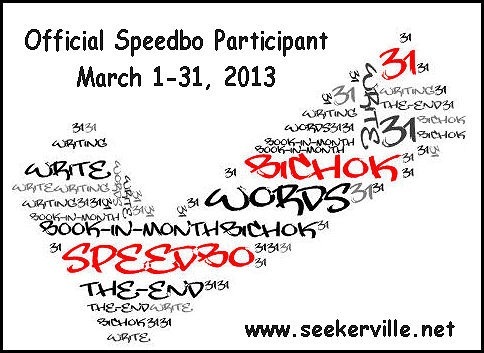 Speedbo is Seekerville’s version of Book In A Month. Stop by Seekerville www.seekerville.net and check out the hype. 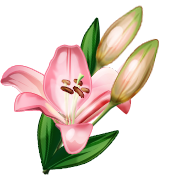 AND stop by and sign up on the Seekerville blog to receive a certificate and badge to post on your blog. 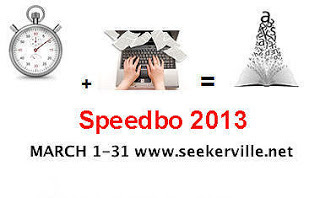 You’ll find all the info you need to participate in Speedbo and have a great time. 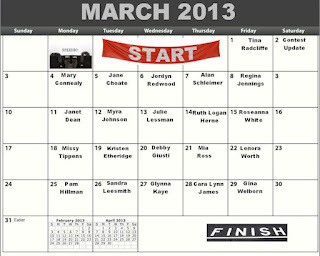 Oh, and did I mention prizes…? 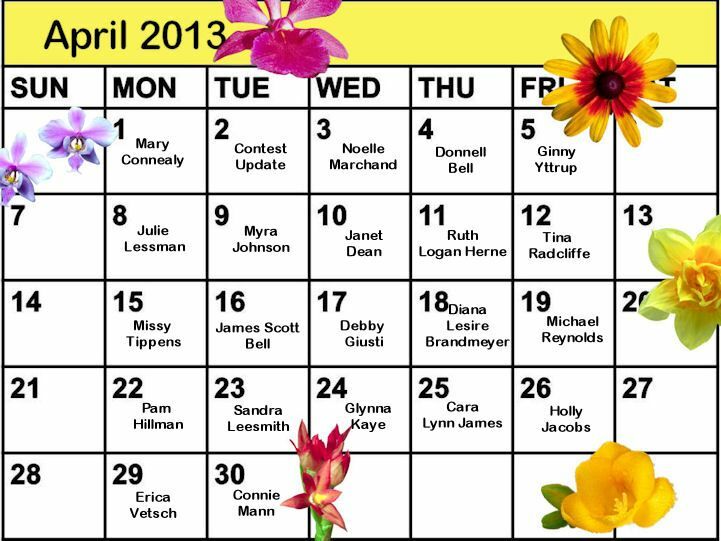 Don’t forget to stop by the Seekerville blog all through March for posts from Seekers and guests designed to help you on your novel writing journey. Do you ever ask friends and family to pray for you? For your health, your prosperity, for wisdom in difficult situations? Do you ever think to ask them to also pray for your writing? As authors, we are entrusted with the task of writing the stories placed on our hearts by the Lord. We’ve been chosen to spread His word through the art of storytelling. This may sound easy to those who have never attempted to write a book. What’s so difficult about writing a story? I assure you, it’s plenty difficult. And, the responsibility of interpreting the message intended can be–at times–overwhelming. God assures us He will never leave us, nor will He give us more than we can handle. Still, piecing together the fragments of a fictional character’s life—the pain, insecurity, choices – can be a daunting task, even as we call to our Father for wisdom and direction. Do we really want to go on this journey alone? Friends are there for one another. Ask your faithful friends and family to include you in their prayers so that you might be strengthened and granted endurance in your writing. May the Lord fill you with joy, blessing the creativity welling within you so that you will be articulate in your sharing of the salvation that comes only in faith in Jesus Christ. Now THAT’S a story worth telling!